Both the Cleveland Play House and Karamu Theater are celebrating centennials this year. That's 100 years of regional and community theater and everything in between, helping our communities see and understand themselves in drama and narrative. With genre-bending, envelope-pushing organizations like Cleveland Public Theatre, and Broadway breakouts like Hamilton, the world of theater is vastly different today than it was in 1916. 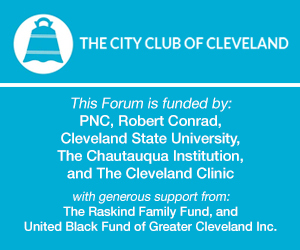 This City Club Forum features a conversation looking at the evolving role of theater in our culture and our community. This conversation is moderated by ideastream's® Dee Perry, Host of Applause and Sound of Applause.